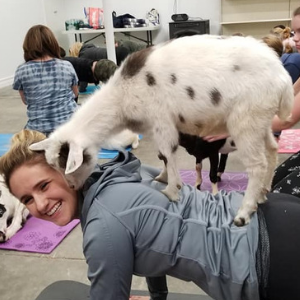 Goat Yoga at Starkie Brothers Garden Center | Starkie Bros.
Join us for this fun event!! Please arrive 15 minutes early to sign a release form. Complimentary water on hand. Please bring own mat!! 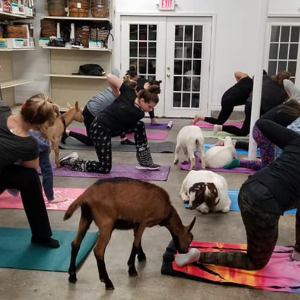 Classes fill up fast so give us a call at 516-293-7148 to sign up!! !